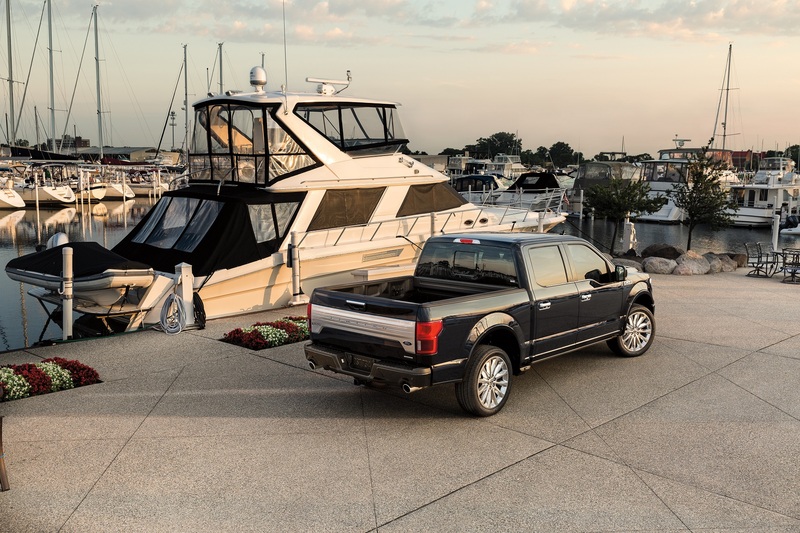 Topline: The 2019 Ford F-150 in Limited trim is the most powerful and most luxurious half-ton pickup truck ever to be produced by the Blue Oval. It's equally as powerful as the Baja-inspired F-150 Raptor, but its soft leathers, genuine wood, and massaging seats offer the perfect balance of brawn and finesse. What's New: For 2019, Ford focused on two areas that are most important to pickup truck customers: What's under the hood, and what's under their butts. In this case, the EcoBoost engine derived directly from the Raptor is dropped into the swankiest F-150, so customers can enjoy the power and efficiency of the high-output 3.5-liter twin-turbocharged V-6 engine that produces 450 horsepower and 510 pound-feet of torque. 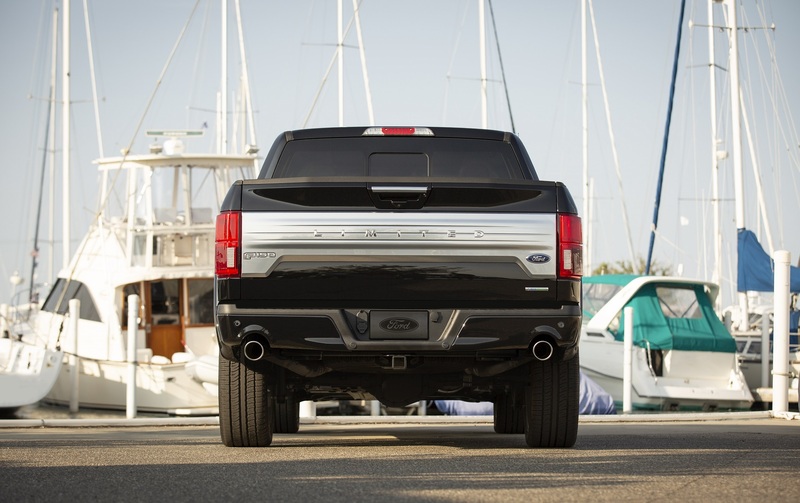 Adding a little more crescendo to the powerful engine is a new dual exhaust system with dual exhaust tips smoothly integrated into new rear bumper cutouts, which oddly enough, look identical to the ones found in the, you guessed it, Raptor. 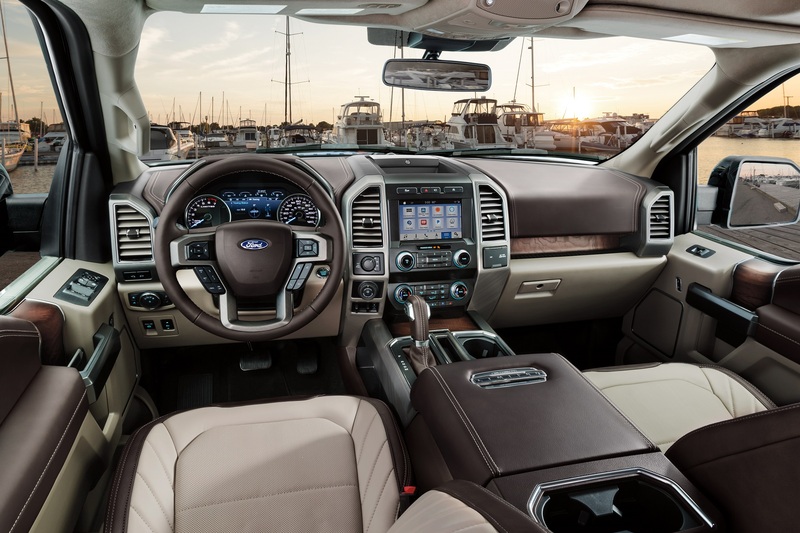 When it comes to interior accommodations, Ford claims that they delivered a "luxurious cabin that features the best of the best in terms of craftsmanship, material quality, and head-turning design." How so? 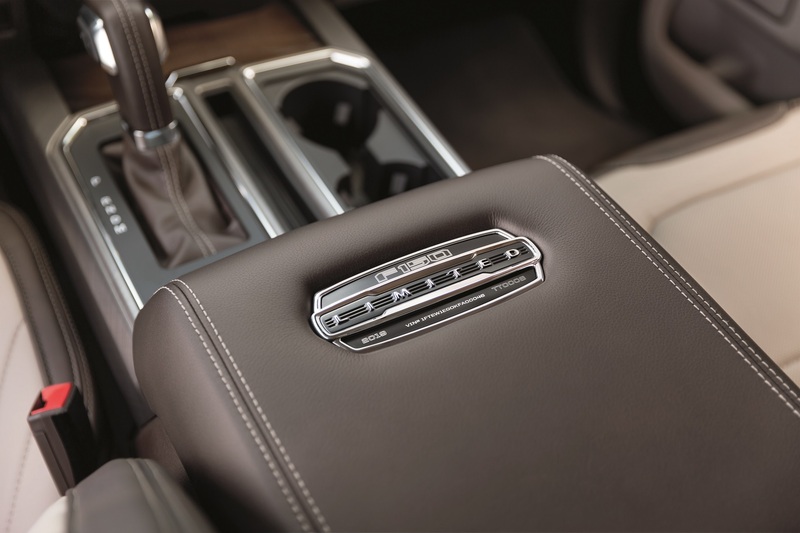 The new Camel Back two-tone leather palette used in the Platinum covers nearly every surface that one can see and feel, while the dash features a gradated ash swirl wood trim that resembles a fine musical instrument like a guitar's neck or classical cello. The first-class experience doesn't end there, as the new headliner is also wrapped in Miko suede, much like in high-end luxury sedans. 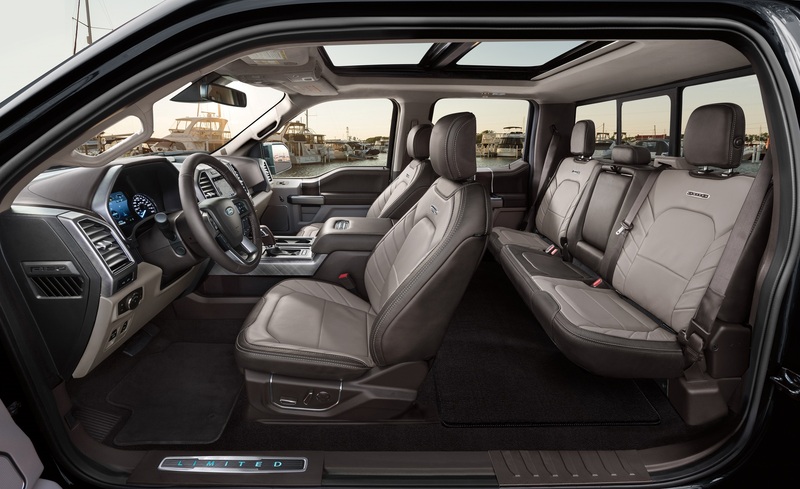 Although previous models of the F-150 Limited featured massaging, cooled, and heated seats, the 2019 model boasts larger holes on the microperforated leather for improved seat cooling performance. 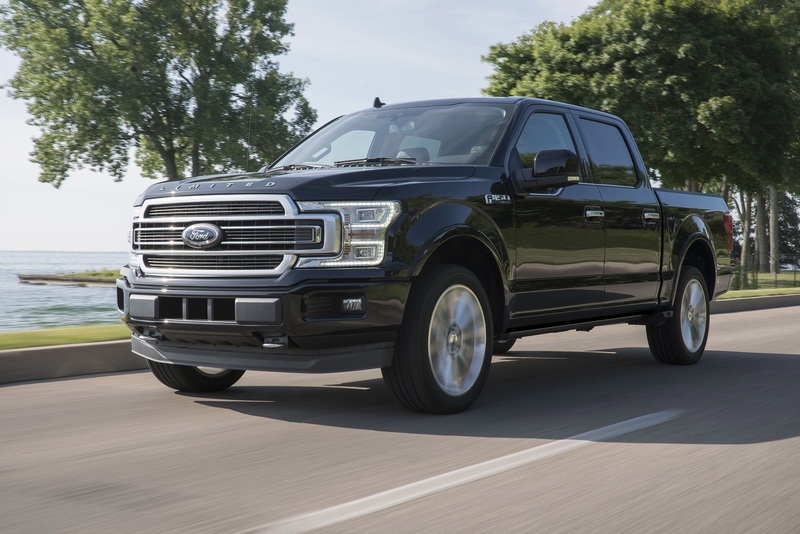 What You Need to Know: The 2019 Ford F-150 Limited retains the styling of the 2018 year model, which was simply a front- and rear-end refresh of the 2017 truck. An all-new design likely won't arrive until 2020. A Ford spokesperson confirmed to The Drive that the 2019 F-150 Limited is only offered with the high-output 3.5-liter engine, so if you had your heart set on the new Powerstroke diesel or the less-stout version of the 3.5-liter EcoBoost you're out of luck. Until now, this high-output engine had only been installed in the Raptor, which boasts a shorter wheelbase and higher suspension that hinder its towing capabilities. As a result, towing and payload figures for this particular engine, transmission, and wheelbase configuration have yet to be released.